Ready to grow revenue with email marketing? Everything included, starting at $19 a month. Already a customer? Sign in now. What’s included with your free trial? Better deliverability means better results. It’s that simple. We proactively seek out and resolve potential deliverability issues so you don’t have to. There’s a reason why thousands of businesses worldwide trust AWeber with their email marketing. Free expert customer solutions from Pennsylvania, USA. Available by email and live chat 24 hours a day, 7 days a week, and by phone 8AM-8PM ET Mon-Fri . Drag, drop and edit - with AWeber, there is no design or coding experience required. Start with one of our professional mobile-friendly templates, or build a design from scratch. 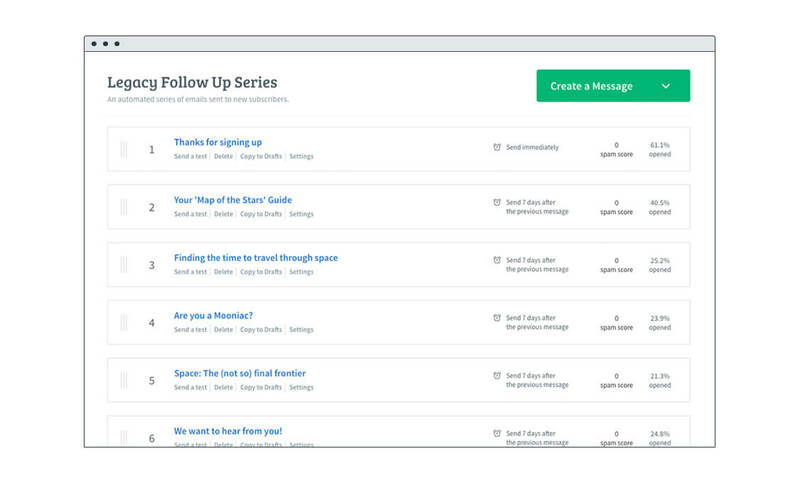 Turn casual subscribers into paying customers with email automation. Set up a simple sequence of emails to be sent automatically on a schedule of your choosing. 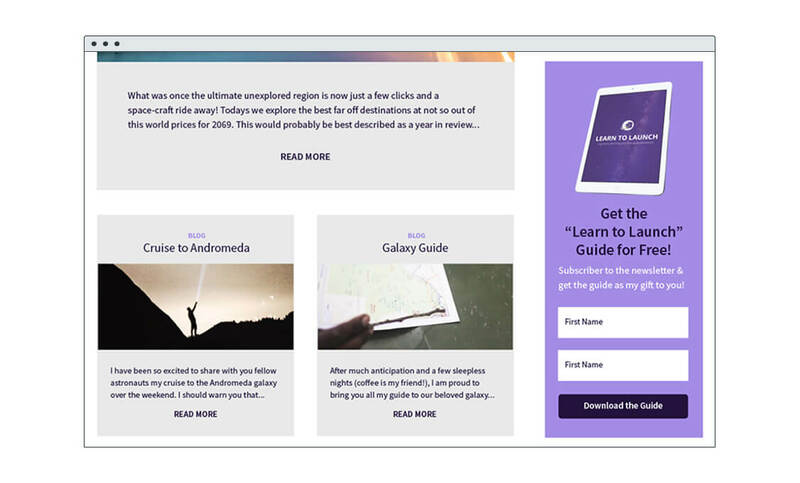 Keep your readers engaged by delivering custom drip campaigns — like a welcome series, product launch series, customer onboarding sequence, or even an online email course. 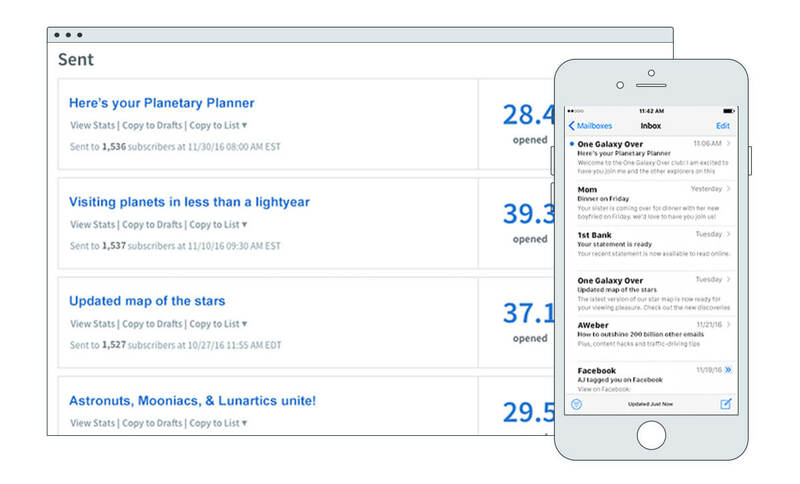 Watch subscribers gravitate towards your mobile-friendly sign up forms. Using our sign up form generator, create simple yet powerful sign up or opt-in forms. 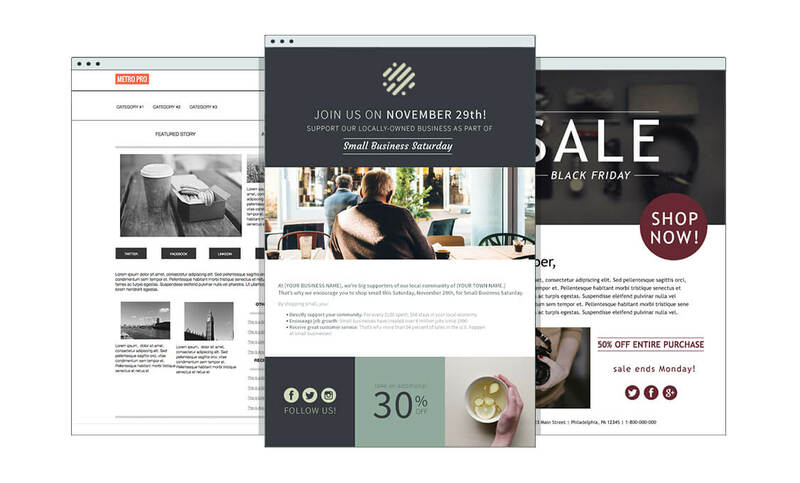 Customize your design to match your brand, add custom fields to learn more about your subscribers and even use forms to tag and segment subscribers to deliver targeted automated email campaigns. Deliver image-rich messages with a few clicks - no design or coding experience required! Choose the pieces you want from the toolbar, drag them into your message and customize them. It's that simple. 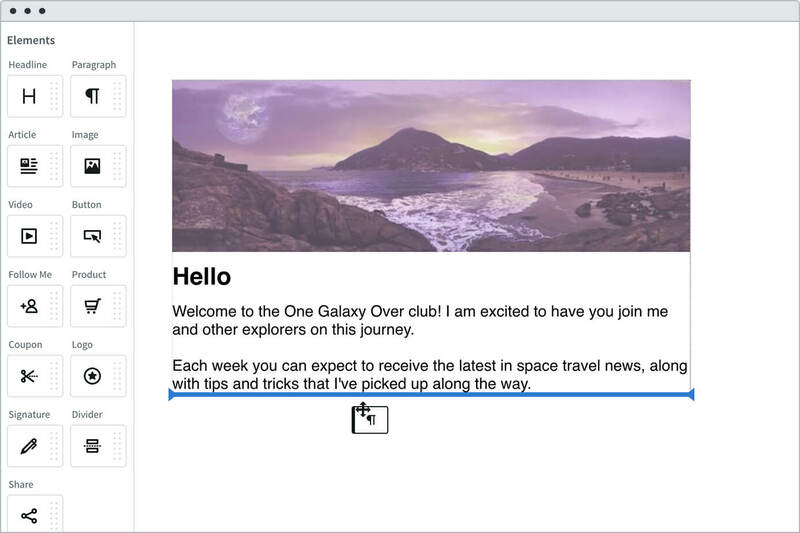 Prefer plain text emails? Want to hand-code your own? Don't worry, we make it easy to do that too. 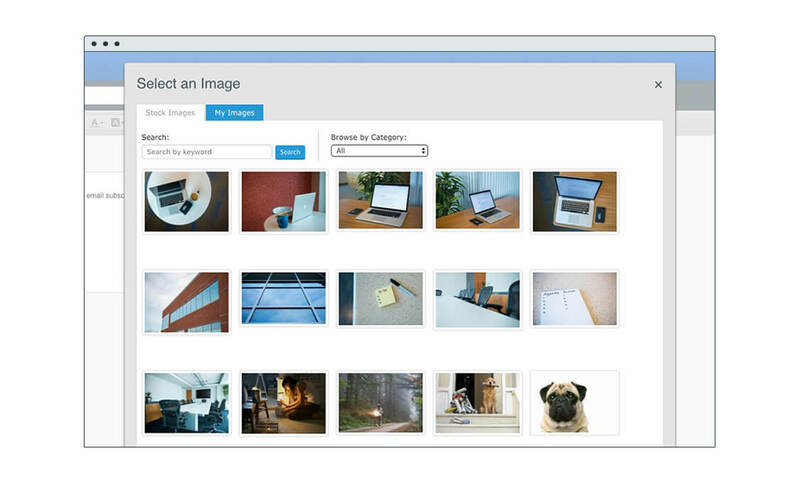 Choose from thousands of pre-selected stock images from our gallery or drag and drop images from your desktop. Add buttons, photos and logos into your emails with a few simple clicks. The best part? You can do it all from your AWeber account at no extra cost. 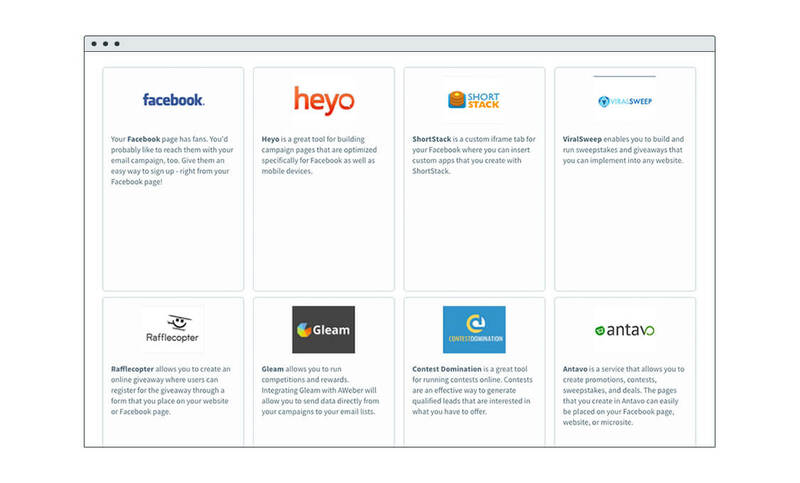 Connect your AWeber account to social media, landing pages, shopping carts and many more integrations to get the most out of your email marketing campaign. Connecting AWeber with integrations you already use will save you time and effort, so can focus less on the tech and more on your business. 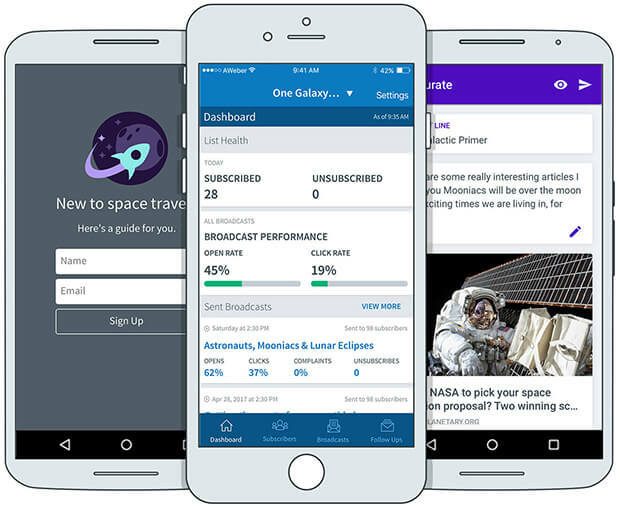 Meet your new email marketing companions– three mobile applications for Android and iOS, built to help you accelerate your success with AWeber. The comprehensive dashboard lets you view: schedule broadcasts, subscriber stats, open and click rates and sent messages.